Should the communications of Finnish Internet users be filtered through a massive sieve to detect terrorist and foreign military intelligence activities? There are two opposing views on the issue. View one: Yes. The Finnish Defence Forces need the right to collect information because the military information of “nearby regions” is increasingly transmitted through the Internet. If the right is not granted, the Government will have to base its decisions on limited information; if it is granted, the defence system will function effectively. View two: No. The collection would jeopardise the privacy of ordinary citizens due to the vast variety of communications that would be subjected to analysis. In addition, the proposal to grant the right to mechanically collect information to the Finnish Police and Defence Forces would not yield the desired results. The first view was presented by Martti J. Kari, the deputy director of the Finnish Defence Intelligence Agency, in a rare interview on HSTV on Tuesday. The second view, in turn, has been promoted vehemently by the Ministry of Transport and Communications. The disagreement between the two authorities deepened after Kari expressed his concerns about the capacity of the Defence Forces. “The situation is currently that some of the information needed [to form an operational picture] isn't available to us. It must be picked up from cables and networks,” he argued. The proposal would according to Kari improve the readiness of Finland to carry out intelligence operations in crisis-affected areas. “We'd get to make sure that no lad comes home from Afghanistan in a black bag,” he said. The proposal would also grant the right to monitor online traffic to the authorities responsible for combating terrorism and international organised crime – the Finnish Security Intelligence Service (Supo) and the National Bureau of Investigation (KRP). Supervision, in turn, should be organised under a single entity, such as the Defence Forces, according to the proposal. Juhapekka Ristola, the director general at the Ministry of Transport and Communications, estimates that digital surveillance rights would open the door to misuse and pose a threat to privacy. “We're terrified when we look at where the world is going and where it already is,” he says. He believes Finland should first engage in a moral debate on the nature of the security structures to be established. Reports of the misuse of surveillance powers have already emerged abroad. The National Security Agency (NSA) of the United States conceded in 2013 that its employees had snooped on the communications of their significant others. In general, online surveillance activities have been criticised for the inability to guarantee the privacy of communications of innocent people. “If we don't pay attention to these questions now, we can easily lose something valuable,” Ristola argues. Ristola also voices his doubts over the effectiveness of mechanical information gathering. 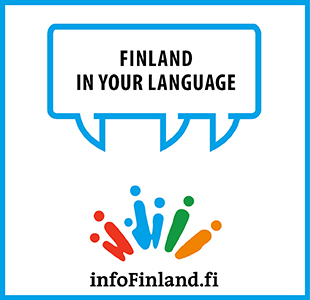 He is unsure, for example, whether it is possible to access foreign military communications by monitoring online traffic in Finland. Moreover, the messages may be difficult to decrypt as even the protection of ordinary consumer products has improved dramatically. “Encryptions have improved so much that apparently no intelligence service can open them,” he says. The Prime Minister of the United Kingdom, David Cameron, promised a few weeks ago to prohibit any messaging services that are beyond the reach of security services, such as Whatsapp and iMessage. Internet service providers across the world have expressed their opposition to monitoring their customers.